New York’s state and local governments employ nearly 1.4 million people, accounting for roughly 15 of every 100 jobs in the state.1 Most of those government employees work in jobs covered by labor union contracts. New York’s state and local government employees2 have the right to join unions and collectively bargain their wages, benefits and working conditions under the 1967 Public Employees’ Fair Employment Act, also known as the Taylor Law. While at least 38 states have authorized some degree of public-sector unionization, the unions have penetrated New York governments more deeply and broadly than in any other state. 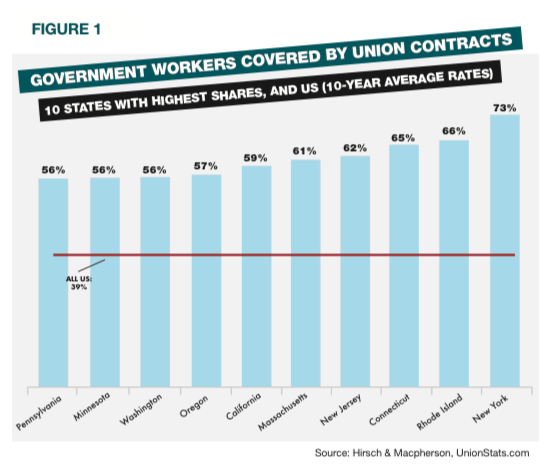 As shown in Figure 1, union contracts cover about 73 percent of New York government employees—the highest share in the nation.3 This coverage ratio is almost double the national rate of 39 percent. Nearly every state and New York City government position that is legally eligible for union representation is covered by a union contract. All 61 city governments and 56 of New York’s 57 county governments outside New York City each have at least partially unionized workforces. New York’s larger towns and villages have unionized workforces. While more rural and scantily populated municipalities typically do not, unions represent employees in towns as small as Piercefield (pop. 310) in St. Lawrence County and West Union (pop. 312) in Steuben County, and in villages as small as Long Island’s Ocean Beach (pop. 79). The teachers in 683 of New York’s 689 school districts are unionized. Most school district support staff, such as custodians and cafeteria workers, are also often unionized. Two of the state’s largest public authorities, the Metropolitan Transportation Authority and New York City Health and Hospitals Corporation, rank among the state’s biggest employers of unionized public employees. The Taylor Law allows groups of employees working in similar positions to negotiate together based on their “community of interest,” among other factors.4 Approximately 5,400 of these “bargaining units” operate under the state Taylor Law.5 Individual bargaining units have the option to act as their own independent union, but most are affiliated with a statewide or national union. The government unions with the most significant membership are the New York State United Teachers and the state’s two largest American Federation of State, County and Municipal Employees (AFSCME) affiliates, the Civil Service Employee Association (CSEA) statewide and District Council 37 (DC 37) in New York City. 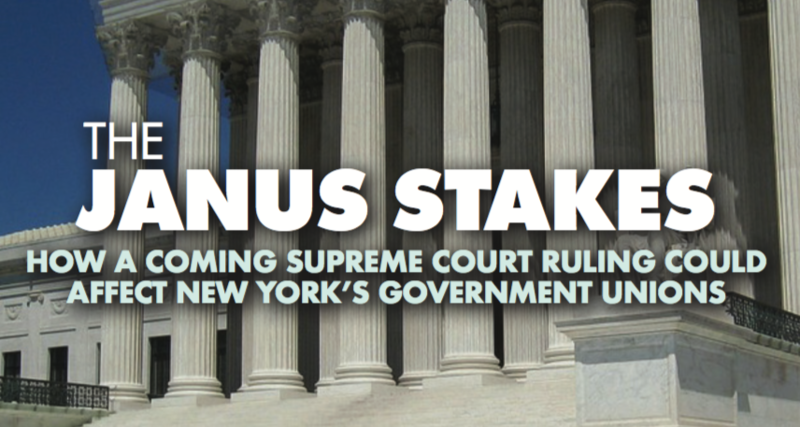 But a case set to be heard by the U.S. Supreme Court next year could radically alter the landscape in which New York’s government unions have grown and thrived. Unions that represent private-sector employees must file detailed annual financial disclosures with the U.S. Department of Labor. But the thousands of union locals bargaining under the state Taylor Law are not required to make any financial or membership reports to the state. This means public employees are unable to see how their dues and fees are spent. It also means that the state has no way to assess how many employees or local governments are impacted by its collective bargaining law. Some of New York’s largest government unions, including CSEA, NYSUT and PEF, file federal reports because they represent small groups of workers who aren’t employed by governments. Even with these reports, their members still are unable to see in detail how their money is spent by their union local the way they would in the private sector. Other states’ transparency regimes offer models New York could follow. The constitutionality of public-sector agency fee statutes, such as New York’s, was upheld by the U.S. Supreme Court in the 1977 case Abood v. Detroit Board of Education. 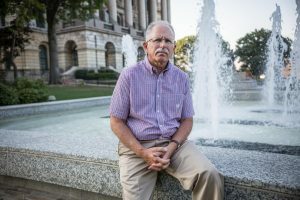 Mark Janus, an Illinois state government employee whose position is represented by AFSCME Council 31, is challenging that state’s agency fee statute. Janus contends that any money used by AFSCME to negotiate with the government, not just the union’s spending on politics and lobbying, constitutes compelled political speech, something the court has held violates First Amendment rights. His case is set to be heard by the U.S. Supreme Court on February 26, marking the latest chapter in the court’s renewed attention at the Abood precedent. In a 2014 case pertaining to agency fees deducted from Medicaid payments to caregivers, Harris v. Quinn, Justice Samuel Alito wrote for the majority that Abood had failed to strike a proper balance between the demands of unions and the rights of individual workers. The Harris opinion was narrowly tailored to apply only to people who were not “full-fledged” public employees, but it signaled a willingness to revisit a decades-old precedent. In early 2016, the Court heard arguments in a case similar to Janus, Friedrichs v. California Teachers Association, originally brought by a public school teacher and former union officer, which more broadly challenged the Abood precedent. The Friedrichs case ended in a 4-4 deadlock following the sudden death of Justice Antonin Scalia, who was thought likely to side with the plaintiffs. With Scalia’s seat now occupied by Justice Neil M. Gorsuch, a ruling is anticipated by June. The immediate impact of a Janus ruling overturning the Abood precedent would be an end to the compulsory collection of agency fees from employees who have not signed union membership cards. that allow them to distinguish between union dues and agency fee payments. However, it appears that not all local governments, school districts and public authorities currently make such distinctions. Rather, the amount of money withheld from an employee’s pay is solely a function of which collective-bargaining agreement covers an employee’s position, regardless of whether the individual actually has opted out of union membership. In fact, most of the government entities contacted by the Empire Center in the course of researching this study could not differentiate between dues-payers and fee-payers in at least one bargaining unit. But New York City and New York State, which together employ just over half of the state’s unionized government workers, collected $407 million in dues and $53 million in agency fees from an estimated 129,000 employees during 2016. Assuming this ratio extends to the total of at least $862 million collected during the period for government unions by public employers in New York, $112 million constituted agency fees, collected from roughly 200,000 employees. The compulsory payment of these fees would have to immediately stop in the wake of a ruling for the plaintiff in Janus. But the end of compulsory agency fee collection would be only the first part of the impact of a Janus ruling. For decades, public employees have signed union membership cards knowing that, because of the agency fee law, they would have to pay the union regardless. Formal membership comes with perks such as discounts on travel, insurance and other products, not to mention the ability to vote on union contracts. But if the court allows these employees to opt out of paying dues that for many exceed $1,000 a year, past experience in New York and elsewhere indicates many employees now paying dues may decide to pay nothing. The experience of Michigan provides an example of what might happen in New York if the Supreme Court effectively abolishes compulsory agency fees for government unions. Once a union stronghold, Michigan lawmakers in 2012 approved a Right to Work statute that prohibited both private and government entities from inking new union contracts that mandated agency fee payments. Beginning in March 2013, employees who had previously agreed to pay dues were given the choice between paying dues or nothing at all once their previous contract expired. For New York’s far larger statewide teachers’ union, NYSUT, a 20 percent drop in membership revenues would amount to an annual loss of $27 million.35 But unionized teachers in New York also pay dues at two additional levels, to national and local unions, both of which would incur losses. NYSUT’s national affiliates, AFT and NEA, together would lose $15 million. And the losses for NYSUT’s more than 1,000 locals in New York would total almost $22 million. All told, government unions would collect $65 million less in dues from New York public school teachers. If New York’s largest AFSCME councils, CSEA and DC 37, incurred losses at these rates, it would mean a revenue loss of almost $21 million for CSEA and just over $7 million for DC 37. Like NYSUT, the loss for DC 37 would also mean reduced revenue for that union’s 51 locals. CSEA would lose just over 60,000 dues-paying members, and DC 37 would lose almost 26,000. Not all unions have fared the same, however. For Michigan’s SEIU Local 526M, which represents corrections employees, revenue from dues and agency fees has dropped only 6 percent between 2012 and 2016, and increased between 2015 and 2016. The drop-off in union membership and revenues in Michigan was delayed because agency fee collection continued until pre-existing contracts had expired, remaining in place through 2016 for some employers. A ruling by the U.S. Supreme Court for Mark Janus, however, would immediately invalidate any state’s agency fee arrangement. New York state law gives judges the authority to suspend the automatic deduction of dues and agency fees. Government unions experienced significant losses in Wisconsin after agency fees were abolished in 2011. These losses were compounded, however, by additional state policy changes known as Act X, which placed limits on collective bargaining and required union locals to regularly conduct recertification votes. Between 2011 and 2016, the number of government union members in Wisconsin dropped from 188,410 to 91,386—a 51 percent drop, even as public-sector employment there rose from 369,805 to 402,618.40 The drop in membership was presumably even greater among state and local government employees because the figures include unaffected federal government employees. The most visible impact of reduced dues revenue on government unions in New York may be a reduction in their ability to influence public policy. 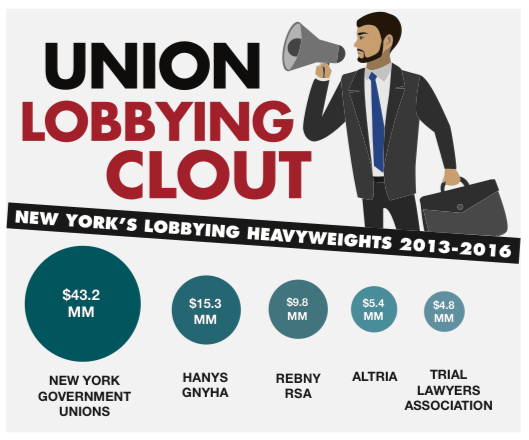 NYSUT itself was the state’s single biggest spender on lobbying out of all businesses and organizations during the period with $11.7 million in expenditures. UFT was fifth highest at $6.6 million, and PEF, the second largest union of state government employees, ranked tenth with $4.4 million in spending. The unions don’t just influence elected officials after they’ve been sworn in: they play a significant role in electing those officeholders by spending money on political campaigns. 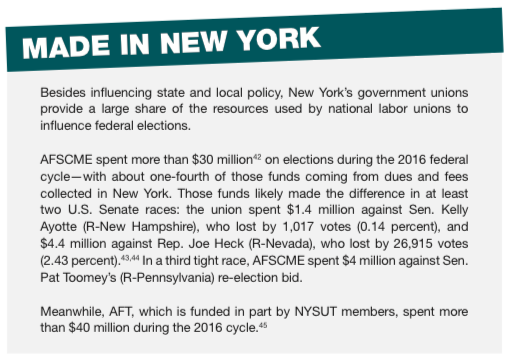 Between 2013 and 2016, a period covering two local election cycles (2013 and 2015), two legislative election cycles (2014 and 2016) and a gubernatorial election (2014), political action committees (PACs) associated with 83 New York government unions spent more than $52 million on state and local elections.13 Nearly half of this spending ($25.7 million) came from NYSUT. This does not include the additional funds spent through the national organization to influence federal elections. Union PACs spending ranges from direct contributions to lawmakers’ campaign accounts to independent expenditures on things like advertising campaigns for or against candidates, a technique favored by NYSUT and the Suffolk County PBA. But not all union campaign contributions are routed through PACs. Some unions also make direct contributions to political organizations, which the unions themselves aren’t required to report to elections officials. The exact amount of direct state and local political spending cannot be easily calculated because campaign treasurers do not clearly differentiate between receipts from the general funds and the PACs. This ultimately means the total political spending by government unions in New York was likely far higher than the $52 million linked to their PACs. A more complete picture emerges from contributions reported to the state Board of Elections (BOE) by individual campaigns and political committees, not by the unions themselves. For example, Communications Workers of America Local 1180, which represents certain New York City government employees, reported $28,150 in outlays from its PAC16 during 2013-16. But BOE campaign and committee data attribute more than $800,000 in campaign contributions to the union during that period. The proposal, which was backed by major newspaper editorial boards and enjoyed majority support in public opinion polls21 just one month before it was defeated in a landslide, ultimately failed with 78 percent of voters opposing it. New York’s government unions have long played an outsized role in the national labor movement. The AFT’s Albert Shanker and AFSCME’s Jerry Wurf, pioneering leaders in public-sector unionism, both got their starts as leaders of New York unions. The current leaders of AFT and AFSCME, Randi Weingarten and Lee Saunders, each led New York government unions before rising to their current roles. National unions have a significant interest in preserving the status quo in New York, including the collection of agency fees. The three unions representing about half of the state’s unionized public-sector employees passed along $143 million, about a quarter of what members paid in total dues, to their parent organizations in their most recent fiscal years.22 These payments are known as per capita taxes, and are paid on a per-member basis. In return, national unions send back a portion of this revenue to their state and local organizations in the form of rebates and grants. Each full-time AFSCME member will pay $157 in per capita tax (PCT) to the International during 2017, with part-time employees paying a smaller amount. Among AFSCME’s New York councils, CSEA, DC 37, Council 82 and District Councils 35 and 66 together paid $67 million in annual PCT, according to each council’s most recent federal filings. Each unionized full-time teacher will pay $231 to be split by the National Education Association and the American Federation of Teachers, under a 2006 deal that merged NYSUT with the state’s NEA affiliate. Federal filings do not break down where NYSUT pays its national dues, but NYSUT’s $81 million in per capita tax payments to its parent unions equated to 15 percent of the $548 million received by the two—despite New York having just six percent of the country’s population. New York’s government unions also benefit other national unions that aren’t typically associated with the public sector. The biggest such example is the International Brotherhood of Teamsters, which represents more than 460 bargaining units in the state. Teamster-represented employees range from town and village highway department workers to Thruway toll collectors to school cafeteria employees. The Teamsters represent at least 17,000 public employees in New York, including 8,400 New York City employees who belong to Local 237, one of the city’s larger bargaining units. The International Longshoremen’s Association (ILA), historically associated with dock workers, represents occupations ranging from court officers to lifeguards. The Communications Workers of America (CWA), which originated as a union for telephone company workers, now represents State University graduate students, from whom the union collected $1.4 million in 2016, as well as certain local government employees. The United Autoworkers and United Steelworkers, once a major presence in western New York’s manufacturing sector, together represent at least a dozen units of local government employees concentrated in the greater Buffalo region. The impact of a Supreme Court ruling invalidating agency fee arrangements would be felt at multiple levels in New York’s public sector. 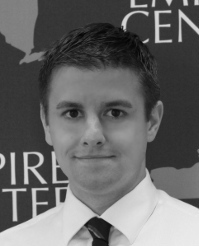 As noted previously, many if not most New York government entities below the state level might not be prepared to immediately comply with a pro-plaintiff ruling because they often don’t know whether the deductions they take from an employee’s pay constitute membership dues or an agency fee. The employers withhold money based on the employee’s title, not a record of union membership. Current public payroll systems in New York were developed after agency fee collection had become standard practice and therefore haven’t needed to distinguish between members and nonmembers. Meanwhile, state legislators will likely find themselves under intense pressure to somehow mitigate the ruling’s impact on government union finances. Indeed, the pressure is already building. A longstanding statutory protection allows public employees in New York to stop dues deductions at any time by making written notice to their employer. This option has gone largely unnoticed because of the state law that allows unions to collect agency fees in lieu of dues. But if New York’s agency fee statute is invalidated by the U.S. Supreme Court, employees will be able to stop the collection of dues with a single letter, fax or email to their employer, unless the state Legislature strips them of that ability. But the bill was a stealth attempt to supersede Section 93-b of the state General Municipal Law by amending the Civil Service Law to stipulate that employees can withdraw their consent for dues deduction “only in accordance with the terms of the signed authorization.” This would let the government unions themselves set terms making it more difficult for people to opt out. For example, a union could say that people may only opt out of dues during a single two-week period each year—as NYSUT has already sought to do in some locals. The bill passed the state Assembly 131 to 4 in June, but was not voted on by the state Senate before the end of the 2017 session. Government agencies at every level in New York need to be better prepared to implement a Supreme Court holding that ends the compulsory collection of agency fees. 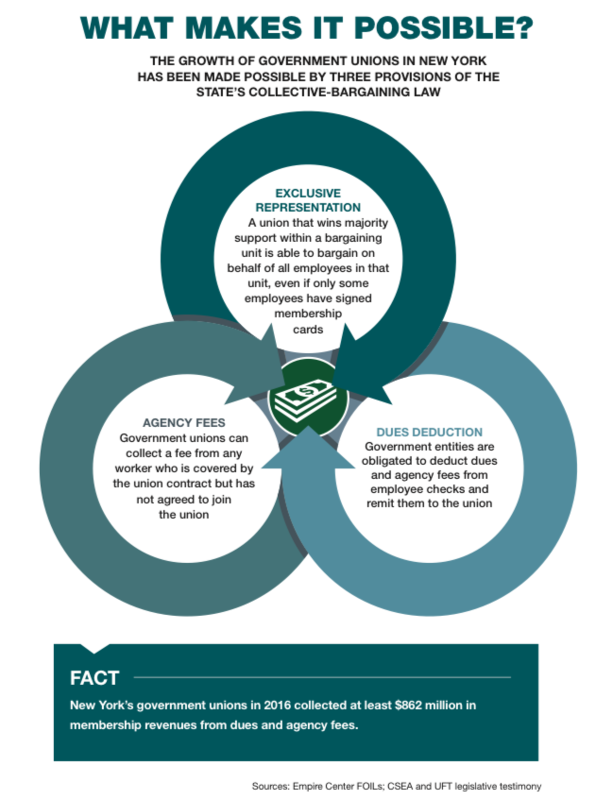 And regardless of how the Janus case is ultimately decided, there are several steps the Legislature can take to bolster the rights of governments workers and improve the transparency of public-sector union finances. Government entities should immediately update their payroll systems to differentiate between dues and agency fees, rather than treating them as generic union withholdings. If this change is not made, and if the U.S. Supreme Court rules for Mark Janus, the employers will be unable to comply with the ruling and could be subject to litigation. State lawmakers should resist making any statutory change that would make it more difficult for workers to refuse to have union dues withheld from their paychecks. Local governments and school districts should not be compelled to enforce optional withholding of dues without an employee’s consent. 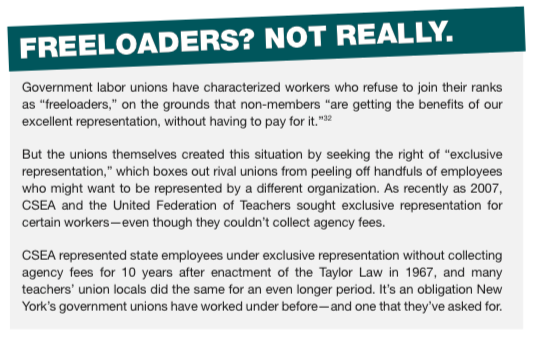 Now that the Taylor Law has passed its 50th anniversary, state lawmakers should amend the law to provide themselves and the public with more data on dues and fee collection from public employees, and require unions to make detailed public disclosures of how they spend the union dues and fees ultimately supported by taxpayer dollars. This report focuses exclusively on public employees bargaining under New York’s public-sector collective-bargaining law. Employees of the Long Island Railroad and other MTA rail services bargain under the Railway Labor Act, and many state-funded service providers bargain under the National Labor Relations Act. The number of bargaining units is in constant flux. This figure comes from PERB and NYC OCB data, with Empire Center modifications to reflect more recent certification actions by PERB. Some unions use PAC funds to pay for lobbying that is also reported to JCOPE and included in the total on page 13. AFSCME has a sixth state council in New York, District Council 1707. However, workers represented by DC1707 work mostly if not entirely in the private sector and therefore don’t bargain under the Taylor Law. Port Authority and MTA rail subsidiary employees bargain under different labor laws than other state and local government employees. Based on most recent LM-2. Assumes all revenues would be affected by Janus.